02/11/2016 Darling of the Day: Victoria Beckham’s Winter-Spring Combo! Even though Long Island is in the thick of winter, it’s not too early to start looking ahead to spring fashion. The one & only Victoria Beckham, pop star turned fashion mogul, is already doing so. She’s a success on & off the red carpet, who not only sets the trends, but resets them in a much more polished & elevated way. For example, during a day out in New York City, the designer stepped out recently in her own Victoria Beckham brand, wearing a marigold ribbed turtleneck with a printed pleated skirt. Her accessories of choice are naturally minimalist, letting her outfit make the statement, with a chain link shoulder bag, oversized sunnies, & leather boots. SHOP: Misses outfit: turtleneck ($39.99, was $89.50) in lemon zest @J.Crew & LC Lauren Conrad skirt ($20.48, was $64.00) @Kohl’s. Plus outfit: Ralph Lauren turtleneck ($19.99, was $64.50) in orange @Ralph Lauren & skirt ($59.99, was $109.99) @Jessica London. 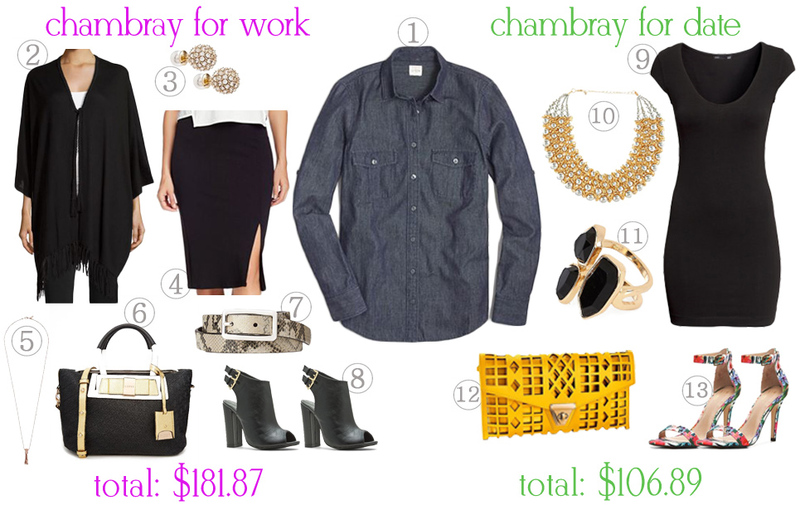 Accessories: sunglasses ($14.99) @Target, ring ($8.75, was $12.50) @Icing, bag ($22.90) @Forever 21, & boots ($16.99, was $69.00) @6PM. What do you think of Victoria’s recent street style look? 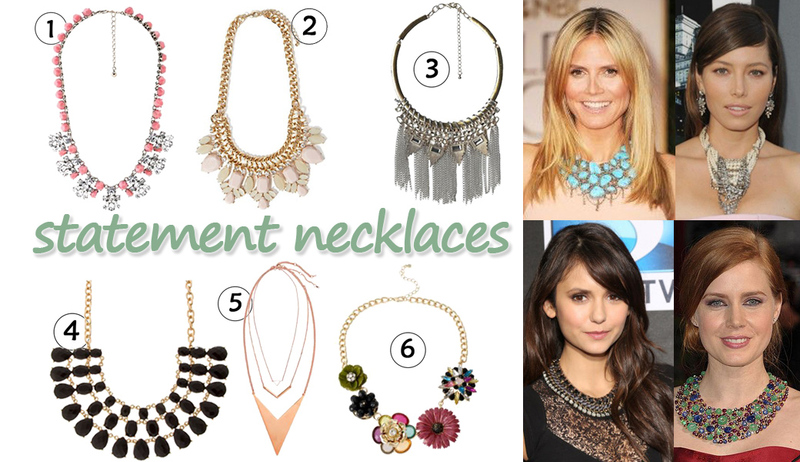 Are you thinking about spring fashion yet? 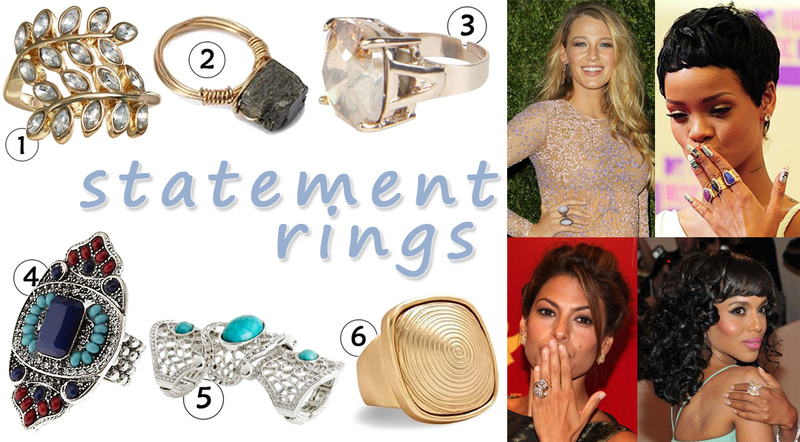 Which celebrities inspire your wardrobe? For more Darling of the Day posts, check out Sienna Miller, Anne Hathaway, Gwyneth Paltrow, Emily Ratajkowski, Chrissy Teigen, & Reese Witherspoon. Happy Styling! 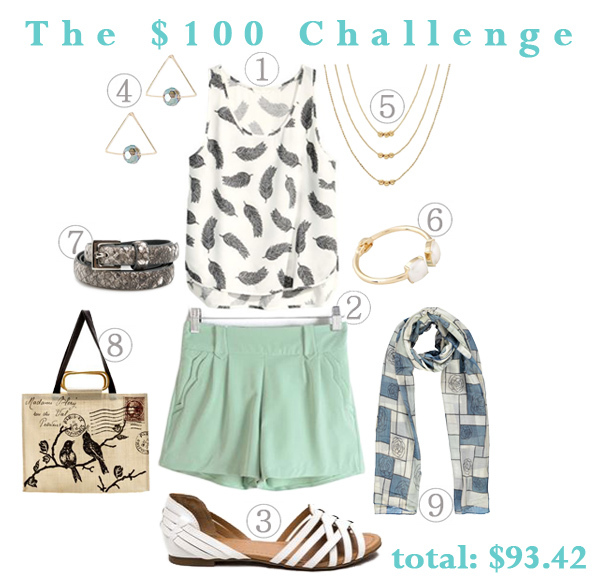 The $100 Challenge: A Stylish, Summer-Ready Nine-Piece Outfit! When it comes to summer style, I love mixing up separates & discovering great ways to wear old favorites with new, affordable pieces as well. After a lot of Pinterest scouring, I’m inspired by several different street style looks, especially when it comes to statement pieces, like a bold printed tank, colorful bottoms like a feminine pair of pastel shorts, & mixing up accessories for a layered, elegant day look. Also, scarved aren’t usually a summer staple, but I love knotting them on the handle of my tote bag to add an extra splash of style, while getting the most use out of my scarves, always prepared for a chilly night. 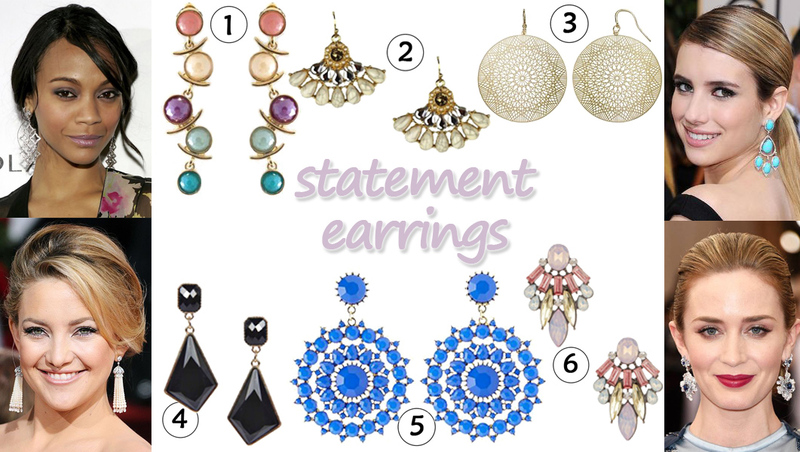 I’m excited to share all of the below pieces, especially since the total cost of the look (before tax) comes to under $100! 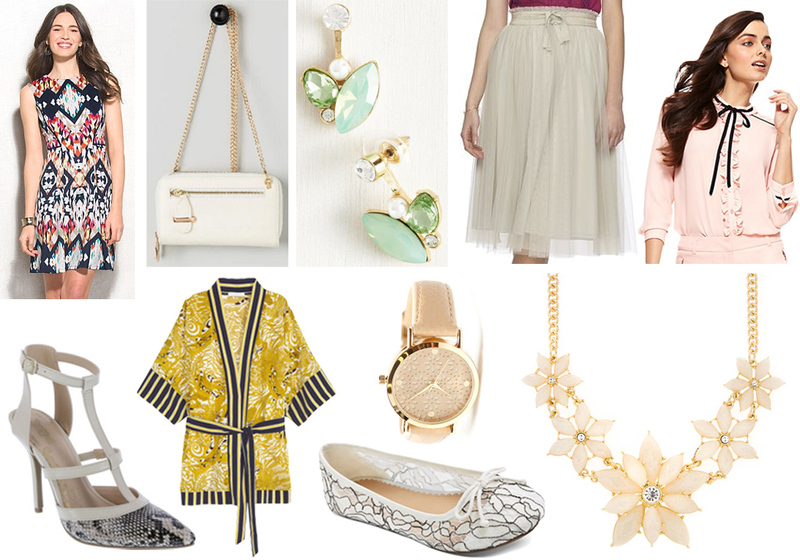 1. feathered blouse ($12.95) @H&M, 2. waves pocket shorts ($11.67, was $22.08) in green @Romwe, 3. faux leather flats ($16.61, was $20.80) in white @GOjane, 4. beaded triangle earrings ($3.90) in gold multi @Forever 21, 5. LC Lauren Conrad beaded multistrand necklace ($14.40, was $20.00) in gold @Kohl’s, 6. square gold bracelet ($4.90) @ChicNova, 7. skinny belt ($5.99, was $12.99) in grey @MANGO Outlet, 8. French postcard tote bag ($19.00, was $29.00) @Shoptiques, & 9. lightweight grid scarf ($4.00, was $10.00) in blue @Boohoo. 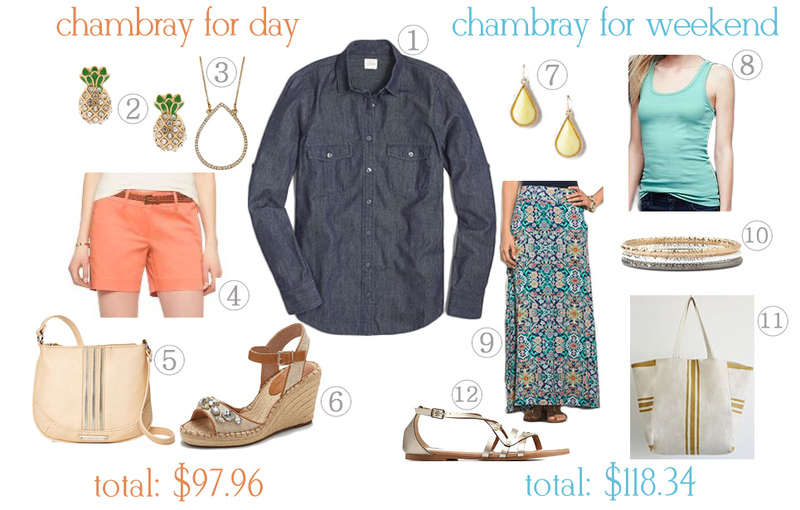 What do you like to wear for a causal summer day? Are you shopping for printed tanks or pastel shorts? Where are you finding the best summer bargains? For more stylish posts, check out Darling of the Day posts featuring Reese Witherspoon in Draper James, Chloe Grace Moretz in Coach, & Lily James in Ralph Lauren Collection, as well as new Top 10 Celeb Sightings galleries featuring Taylor Swift & Gig Hadid, & Elizabeth Banks & Lea Michele. Happy Styling!